Our trained and certified technicians in San Rafael can remove virtually any stain known to man. With the industry’s finest stain-removal products and tools at our disposal, Clean Living Chem-Dry can remove/minimize every stain. When it comes to stain removal, the quicker you are to act, the easier it will be to remove the stain. 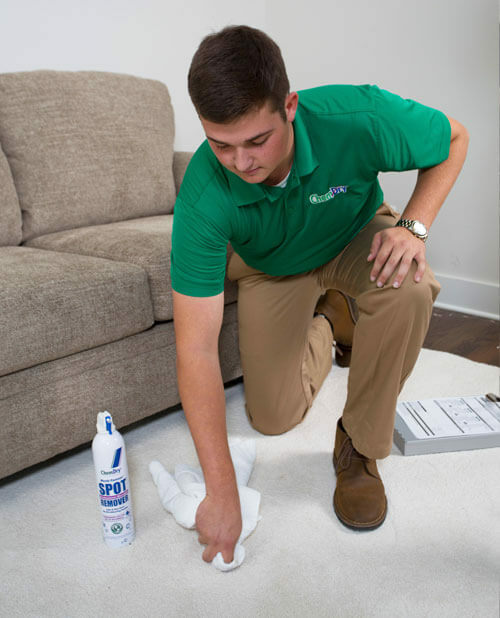 When spills or spots sit on carpets or upholstery for a long time, it can be difficult to remove, but not impossible with our advanced technical skill and expert cleaning solutions. 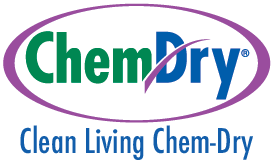 Chem-Dry leads the carpet cleaning industry in products and solutions, that help you win the battle against tough stains. Clean Living Chem-Dry technicians are willing to try and remove any stain. We have had success removing spots such as: berries, soda, juice, blood, candy, nail polish, coffee, honey, Kool-Aid, jelly, mud, lipstick, Ketchup, marker, rust, throw-up, urine, wine and many others. Each stain is somewhat unique, but our staff is expertly armed to tackle even the toughest stains. If you want to know if Clean Living Chem-Dry can remove a stain call us at 415-897-5337 and our helpful staff will let you know. “If we can’t get it out, No one can.” All Clean Living Chem-Dry professionals in San Rafael are prepared with tools to remove virtually any stain. Our technician will prepare an on-site evaluation for any stains and provide a no-obligation estimate. When carpet is purchased it comes with a factory coating of protectant. That protectant will fade over time, but it can be the difference between a stain and a quick clean! Clean Living Chem-Dry is able to add a protectant during your next cleaning. The next generation of outstanding Chem-Dry Protectant is here. Chem-Dry’s PowerGuard Protectant is loaded with acid-dye resistors to provide your carpet with excellent stain resistance. Chem-Dry’s PowerGaurd Protectant has a unique polymer base that makes it an excellent protector for solution-dyed carpets, like polyester and olefin and we have options for ALL types of carpetes. Laboratory tests confirm that PowerGuard mixed with The Natural®, outperforms all other protectants.